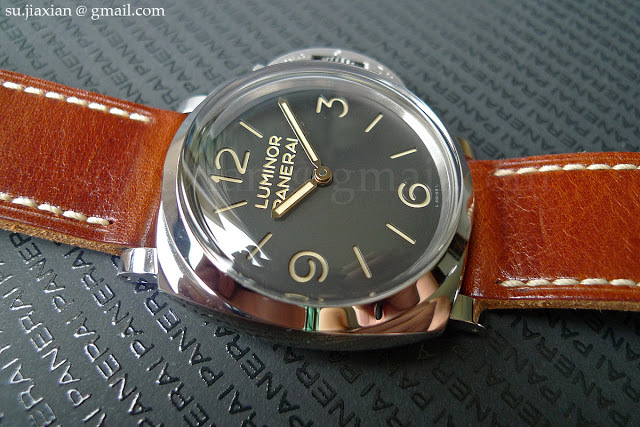 I just had the pleasure of wearing the new Panerai PAM00372 Luminor 1950 3 Days 47 mm for several days. Equipped with the new P.3000 movement, the Panerai PAM 372 was just launched at SIHH 2011 and is shaping up to the one of the most sought after Panerai watches of the year. 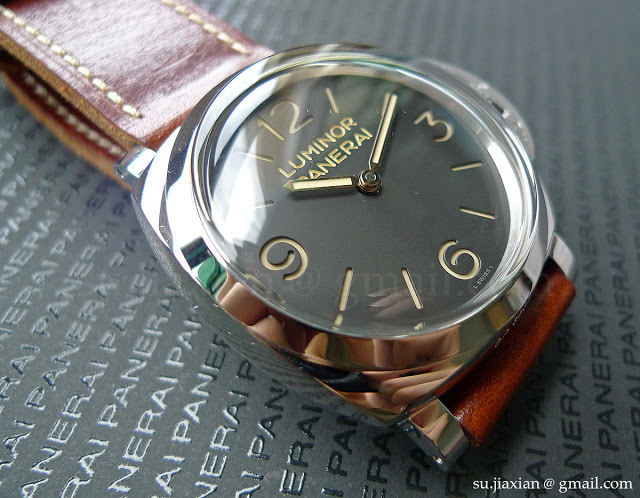 A faithful and authentic looking remake of a vintage Panerai, the PAM372 everything that a Paneristi desires. 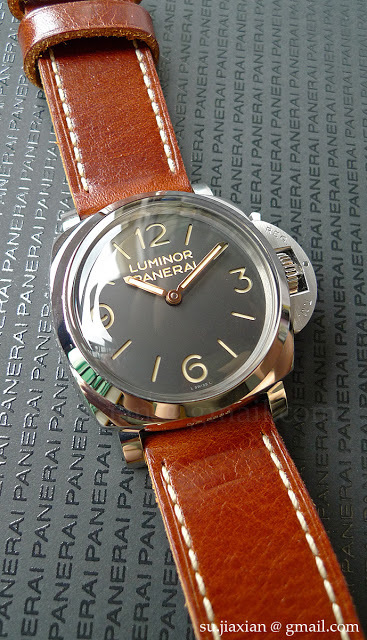 Panerai got all the details right for the PAM372, the colour of the Luminova, the thick strap with unfinished edges, the engraved lettering on the sandwich dial, and the flat caseback. All hark back to the original Luminors. This watch has an emotional rather than intellectual or technical appeal. 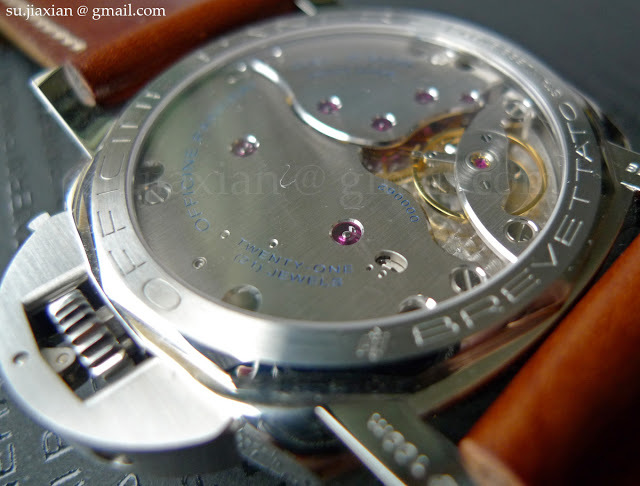 The P3000 movement, though in-house, is simply constructed and finished. 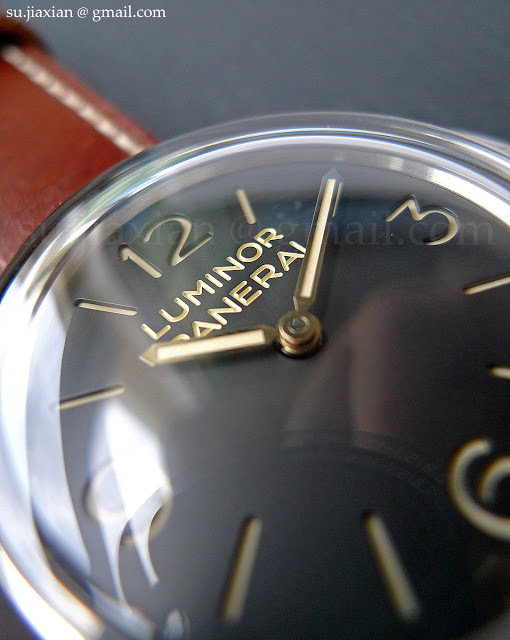 But this watch is not about the movement, it looks and feels like a vintage Panerai. A full on-the-wrist review will be published in August in “The Peak Selections: Timepieces”. The magazine will be mailed out to the subscribers of The Peak, and will also available for purchase at major newsstands and bookstores in Singapore. 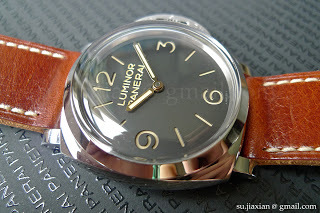 Update: SIHH 2012 will see the launch of the Luminor 1950 PAM422, which is the PAM372 with sub-seconds at nine and power reserve indicator on the back.